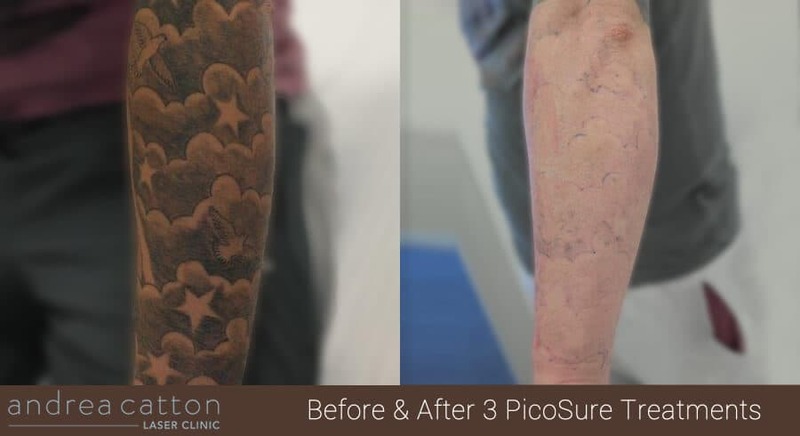 PicoSure lasers are the most advanced tattoo removal lasers in the world. 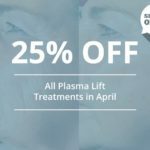 Our laser is in fact one of only a handful in the United Kingdom, and since its arrival we have helped hundreds of people rid themselves of their unwanted tattoos. PicoSure lasers use ultra-short pulses of energy to create an intense photomechanical impact that shatters ink into tiny particles. These particles are then absorbed and eliminated by the body, and they are much smaller than the particles created by traditional Q-switched Nd: Yag lasers. Due to this, ink is broken down more efficiently in the body. 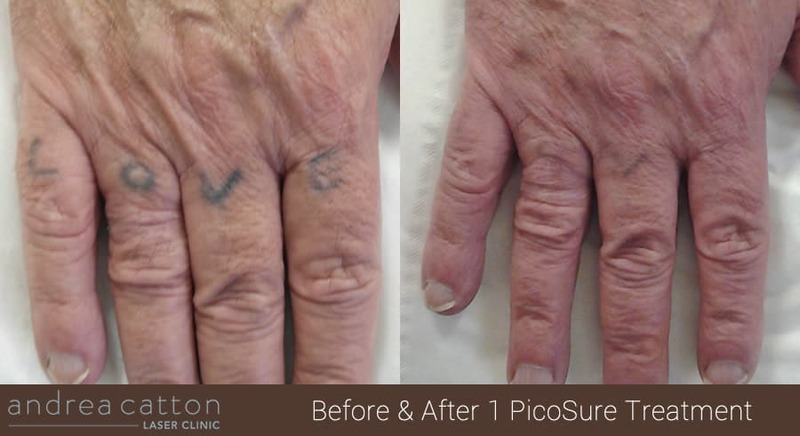 As a result, PicoSure tattoo removal is considered to be the Holy Grail of laser tattoo removal. However, while the PicoSure laser has always been fantastic for removing most ink colours, it hasn’t been as effective for the removal of red, orange and yellow tattoo ink when compared to our RevLite Q-Switched Nd:YAG laser. We are pleased to announce that we have taken delivery of the new 532 nm PicoSure laser system upgrade. This new laser system delivers ultra-short bursts of energy at a 532 nm wavelength for more effective removal of red, orange and yellow tattoo ink. 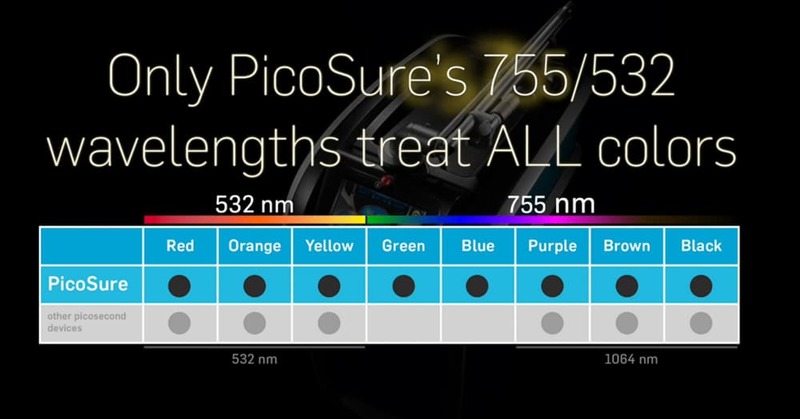 Combined with the traditional 755 nm wavelength offered by the PicoSure laser, the 532 nm laser delivery system offers unparalleled tattoo clearance across the colour spectrum. Both laser systems have received FDA approval, with the 532 nm laser upgrade cleared by the FDA to treat skin type’s I-III (I-III are the fairest skin types). If you have darker skin, IV-VI, then we recommend our RevLite laser treatment due to a lesser risk of hyperpigmentation and hypopigmentation. 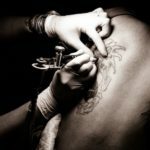 If you have a tattoo or tattoos you would like removing, then contact us today to find out more about our laser tattoo removal treatments.